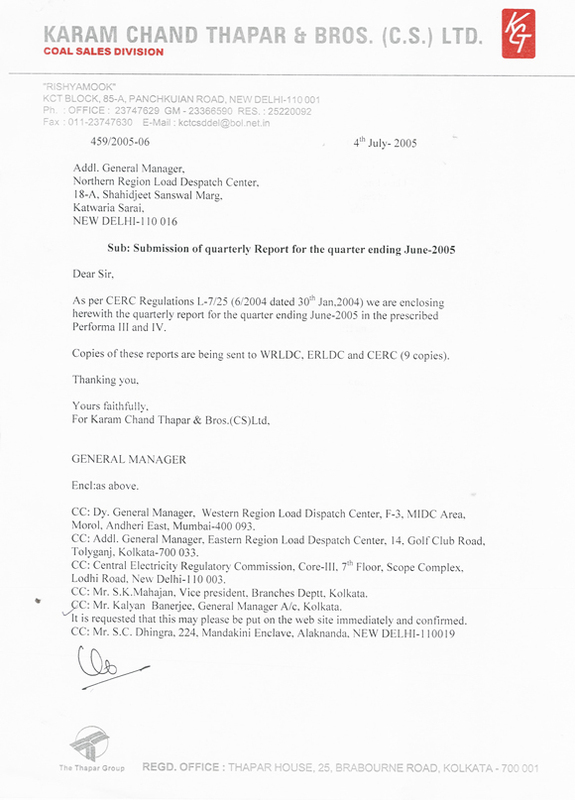 Name of the Trader : Karam Chand Thapar & Bros (CS) Ltd. Note : All the transactions shall be reported transaction - wise on real time basis and should not be aggregated. Besides the name of the seller / buyer, indicate the category of the seller / buyer namely generator, captive power plant, distribution licensee, Government, Consumer (when applicable) etc. Strike out whichever is not applicable. ii) RLDC shall verify the volume of trading & pass on the Form IV to the Commission.